Problem: I need a cable release for my microscopy camera, but Nikon doesn't make one for the P330 and their alternative solution (a wifi adapter that interacts with your phone) is both expensive and slow. A plastic 90° elbow (this is a spare part from a venetian blind installation kit). A small nut that accepts the first half of a standard mechanical cable release. Some Plastimake (an Australian product) or whatever analogous moldable plastic you might have in your country. Make a hole in the plastic elbow. Sandwich the hole with Plastimake. While still soft, embed the nut in the Plastimake. Guide the Plastimake into the gaps and over the nut to lock it in place. When the Plastimake is stiff enough to support the nut but still soft enough to puncture, screw the cable release in and force the stem all the way through to the other side. Enlarge the hole by wiggling a nail in it, submerge in cold water to set everything. Stick the adapter to the front of the camera with good-quality double-sided tape, just hovering over the shutter button. The adapter works really well! 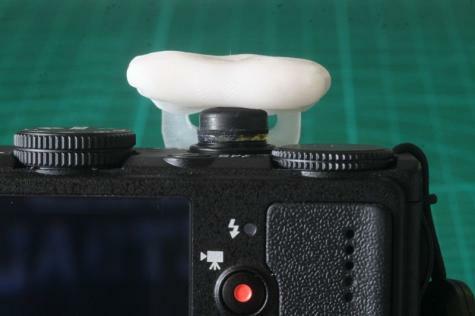 The flexibility of the plastic elbow means that I can shoot normally by pushing on top of the adapter, although this camera is staying connected to the microscope. Here's the album of the completed adapter. 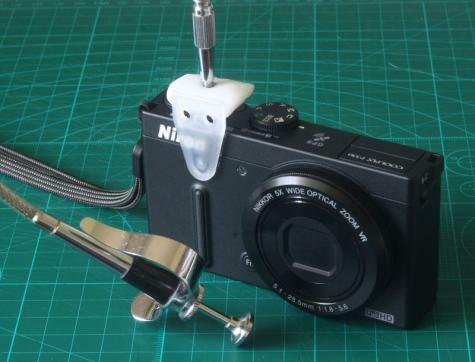 If I was doing this for a camera that I did take outside regularly, I would probably make the adapter from the button assembly of a retracting pen. Cut pen barrel to length, stick base of barrel to camera body. 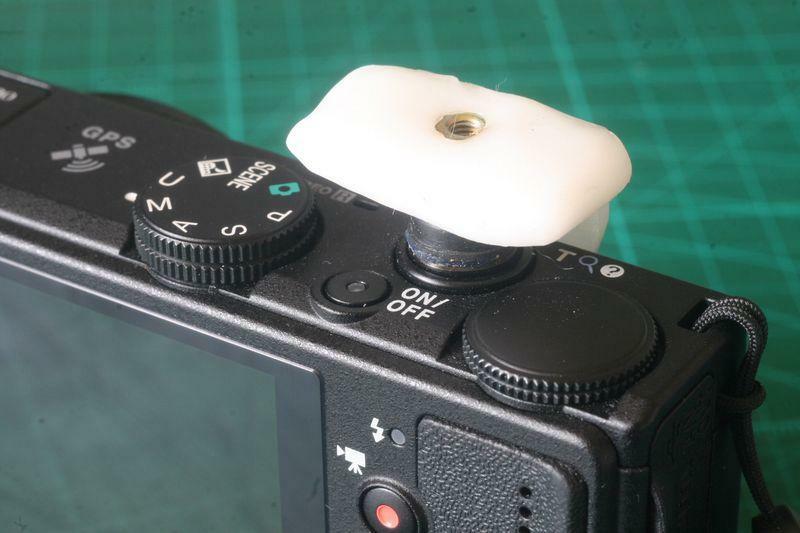 Cut the button short, fill with plastimake, embed nut, force a hole for the release stem.